As we mentioned in our previous blog Technological Advances in VoIP, VoIP is evolving, and as it does your company has to consider when you are ready for VoIP and when will it suit your organizational needs. Voice over Internet Protocol communication is maturing. Just as high-speed Internet becomes cheap and ubiquitous, an increasing number of businesses are ditching conventional landlines and jumping to VoIP. Before you make that jump, you also need to make sure that you are 100% ready. The concept of VoIP sounds almost magical and the hype makes it sound more flexible, more full-featured, and best of all, significantly cheaper than placing your calls through traditional telephone service providers on existing equipment. You have to ask yourself if is VoIP really all it’s cracked up to be? Are the potential risks and pitfalls worth the potential monetary payoffs? This blog will discuss the pros and cons and take a look at some commercial VoIP services of varying complexity. Hosted VoIP Services: Most top VoIP phone service providers will handle all the heavy load offsite, delivering calls to your phones without much hassle on your end, especially if you use IP phones that are plug-and-play certified for their service. These types of providers require no additional on-site hardware aside from those IP phones. Self Hosted VoIP Service: In contrast to hosted VoIP Providers, maintaining a self-hosted, on-site VoIP system requires a bit more equipment and more work on your part. You need an IP-based PBX (Private Branch eXchange) that is a VoIP-friendly version of the traditional PBX phone systems that is currently used in many offices environments to route your calls to the appropriate phones on the network. You will also need a device called a PSTN (Public Switched Telephone Network) gateway. This PSTN gateway sits between the IP-PBX software and the analog signals of the public-switched telephone network, converting calls to and from digital signals as necessary to analog or different digital frequencies. Depending on the size of your company and the infrastructure you already have in place, jumping on the VoIP bandwagon could cost your organization very little, or it could entail significant up-front costs of additional hardware upgrades or infrastructure upgrades. While it is important to note that even home broadband connections are capable of handling several VoIP calls simultaneously, it’s still important to be sure that you have enough bandwidth available for your other applications and communication needs. The more simultaneous users access VoIP, the more Internet bandwidth you will require. Typically (with home-based businesses of only a few employees), a 15-mbps home Internet connection could handle about 10 simultaneous VoIP calls along with other internet applications such as browsers and e-mail programs that may running on the network at the same time. It is also important to make sure that your ISP does not have a bandwidth cap on your service that will prevent your VoIP from working once you reach your cap – or just as worse, impose additional bandwidth coverage charges. Your Internet service provider is not the only company that should be able to handle your needs. You also have to make sure that your internal network (including your routers and switches) are able to handle the additional load that VoIP will place on them. With self-hosted PBX style system, a single broadband connection will probably not handle your VoIP needs, let alone your other Internet needs. Most organizations that choose to go the self-hosted route will most likely employ a business-grade Internet pipeline such as a T1 or T3 connection. These types of connections are not cheap and can potentially eat up the savings of a self-hosted VoIP solution. For most small to medium-sized companies who do not require more than a 5 or 6 simultaneous VoIP calls, a hosted VoIP service is often the best route for maximum cost savings and flexibility. 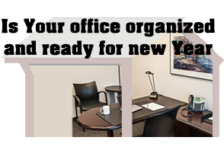 When the company is run on a home-based model or one where the business team is in scattered locations, combining a VoIP solution with a virtual office solution (that provides a prestigious business mailing address at an office business centre and also offers other business services such as office for rent Toronto and boardrooms for rent) is often ideal. Our next blog will be discussing a particular VoIP telephone that will be introduced in the coming weeks as part of Telsec Business Centre Inc.’s new VoIP Virtual Office Solution. This feature-rich telephone technology is the key to delivering a top quality VoIP service with seamless connectivity to the live Telsec receptionist – who answers the VoIP client and allows him or her to connect to the office receptionist as if they were just down the hall.